A style legacy you value…My father was extremely well groomed and did not tolerate any sloppy behaviour. That is why I’m always particular in ensuring that my hair, stubble, clothes and even cufflinks are properly looked at before I step out of the house. There is no excuse for inconsistent days. Your latest splurge…300 Nespresso capsules in Paris last week. The phoenix gift card…is the perfect ‘accessory’ for a shopping spree. It allows you the freedom to explore diverse lifestyle and luxury choices and is great for gifting so that the recipient can go and buy something he or she desires. Getting the right look at Palladium…would see me head for clothes to Ermenegildo Zegna, Paul Smith and Hugo Boss. And, of course, a pampering session, shave and haircut at my most favourite Truefitt & Hill! Your grooming essentials…Moisturiser by Clinique For Men and Himalaya Neem Face Wash, Kerastase Bain Densite shampoo for men with thin hair. The most rewarding and challenging part of work…I love every single minute of my job. The best part is to write a long story and see it published on paper. I love interviewing and chatting with people for a story. It has to run in your blood. And this passion for conversation translates into your story. The most challenging part is the fatigue of travel. And the fact that sometimes when you’re in an exotic destination, you miss your home so much. 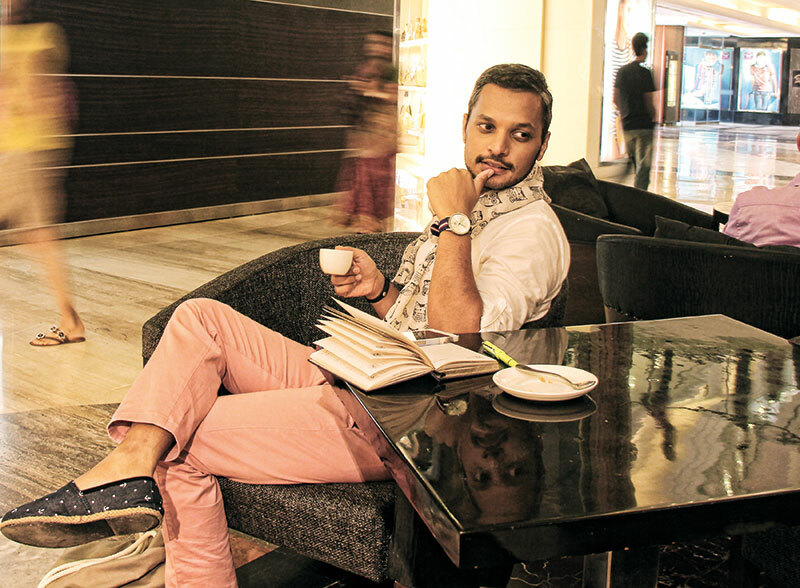 Your personal style…I oscillate between classic and preppy style. I love my classic whites, blues, greys and blacks. I love well-tailored and fitted clothes, and don’t like embellishments and prints. When dressed casually, I adore the nautical style. A fashion experiment you nailed…I’m not very experimental with my style, however, I did once wear a wraparound sarong with a tux — it was an epic success. Your travel essentials…a good cologne, power bank, hand sanitiser, Kindle, cufflinks and sunglasses. An unconventional buy in your wardrobe is…my fluorescent yellow sneakers by Reebok. Favourite Palladium haunts…I love Truefitt & Hill, Ermenegildo Zegna, Muji, Sephora, Kiehl’s, Gant, Nautica and Brooks Brothers.